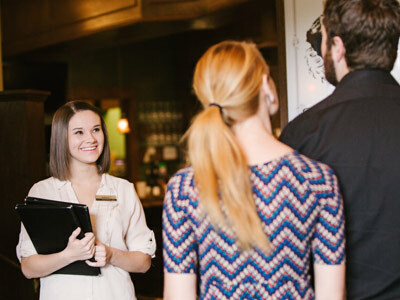 Our management intern program provides “hands-on” hospitality operations experience and benefits students with training by seasoned management teams. The internship is customized for each participant depending on his or her goals, career plans, prior experience, and length of internship. The Restaurant Rotation Plan includes experience in at least two of our restaurants, with students typically spending six weeks in each area. Interns will work closely with the management team, work on special projects, and have the opportunity to run each restaurant independently. Concentrated internships are also available that allow students to gain greater depth of knowledge in one particular area. Examples include Catering Sales and Banquet Operations.